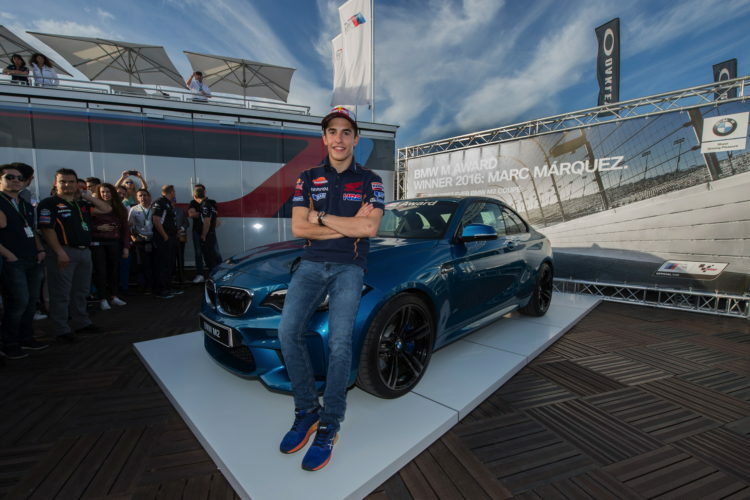 Marc Márquez has continued his winning run in the BMW M Award: the Spaniard was once again the fastest qualifier in the pinnacle of motorcycle racing in the 2016 MotoGPTM season, and picked up the coveted award for the fourth time in a row. This year, his efforts in qualifying were rewarded with a BMW M2 Coupé in Long Beach Blue Metallic. 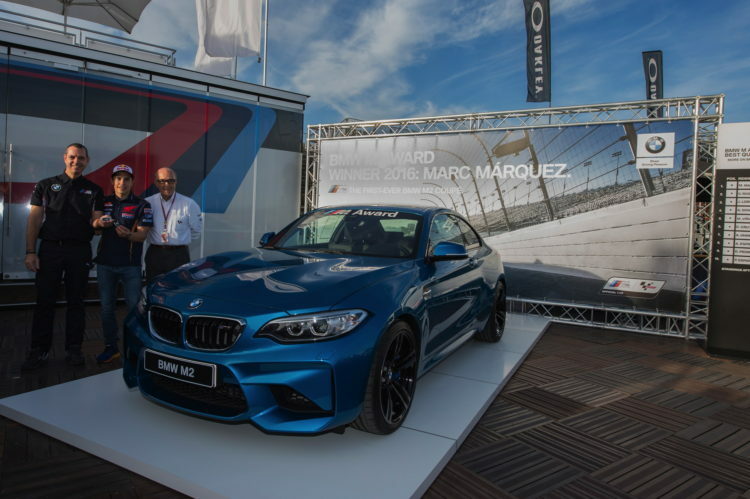 The BMW M Award was presented for the 14th time in 2016. BMW M Division, long-term partner of MotoGP organizer Dorna Sports, has run this special competition since 2003. Using the same points system as is used for the races themselves, the riders are awarded points according to their qualifying positions at every Grand Prix weekend. The winner receives an exclusive and customised BMW M car at the end of the season. The official presentation traditionally takes place at the final round of the MotoGP season. This year’s prize was presented to Márquez on Saturday in Valencia (Spain) by Carmelo Ezpeleta, CEO of Dorna Sports, and Frank van Meel, President of BMW M Division. In winning the BMW M Award for the fourth time in a row, Márquez has once again made history. In 2013, Márquez became the first rookie ever to win this prestigious competition. He repeated the success in 2014, and in 2015 became the first rider to win three back-to-back BMW M Awards. He now has his fourth straight win, making him the sole record holder when it comes to BMW M Awards. 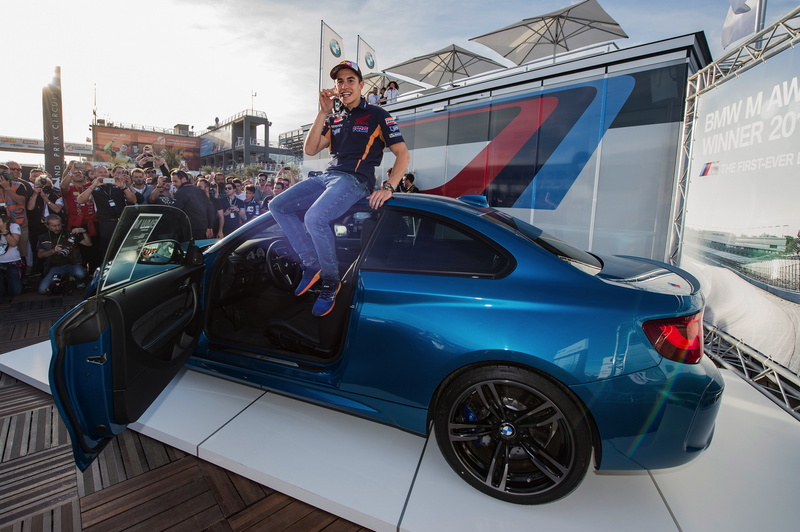 As well as Márquez, a further five riders have won the BMW M Award since it was launched. Valentino Rossi and Casey Stoner have won the award three times, Jorge Lorenzo has won the BMW M Award twice so far, and Sete Gibernau and Nicky Hayden have both won it once.